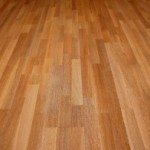 Your home’s floors are one of the single most important things about it. They’ll influence the look and feel of the home and even have an impact on how well you enjoy it. As such, it’s important that you find the right flooring for each room. While carpet is a good option for bedrooms thanks to its ability to ‘warm up’ a room, most homeowners today are finding that hardwood makes more sense – especially when they need high traffic flooring. Plants and greenery are staples in many homes. 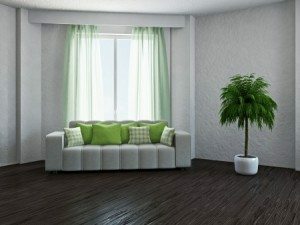 Not only do plants add some much needed life to indoor spaces, but they preform several functions from making the air cleaner to eliminating noise. Here’s what plants can do for you and your space, not to mention how to go about adding more plants to your home. Plants literally breathe life into your space. Refreshing, right? Plants release oxygen and absorb carbon dioxide, which means that they help to purify the air in your home. Plants can also remove VOCs (volatile organic compounds). such as those found in cigarette smoke, grocery bags or new furniture. Not only do plants make your living environment cleaner, but they also have been proven to reduce stress and help you focus. Did you know that plants can reduce noise? That’s why you frequently see greenery strategically placed in offices or restaurants. Plants can be particularly useful in apartments or townhouse to help muffle and diffuse sounds. Simply put, plants and flowers look appealing. Flowers add cheer and interest to spaces, and plants can add a variety of themes to your space depending on which varieties you choose. A simple stem in a vase makes a beautiful and inexpensive centerpiece in any room of your home. Get green! Research is the first step to finding out what types of plants will work best for your home and lifestyle. Understand that plants do require some care, and some thrive in certain conditions better than others. Once you’ve narrowed varieties that will do well in your environment, add them to tables, beside couches, on bookshelves and countertops. Then, sit back and breathe in the beauty you have created in your plant-filled home! Having a baby means making a lot of decisions, but fortunately, decorating the nursery involves fun ones! But before you decide on furniture, decorations, and paint, look down and choose your flooring with care. Remember: not only is it expensive to replace, but it needs to stand up to your little one for years to come! Area rugs are a great way to punch up a room with color – without the hassle of wall-to-wall carpeting. Bonus: the many spills-to-come are easy to spot-clean or remedy by throwing the rug in the washer. Dark flooring – especially in wood – can hide a multitude of baby sins. Forms of (unintentional) infantile evil include spilling, spotting, staining, denting, scratching and yes, gnawing. On the other hand, if your hardwood floor is light enough, consider styling it with stencils. The good news is that if (no, when) the design gets damaged, it’s easy to create something new right over it. Cork floors are a terrific option for newborn bundles. It’s soft yet durable, and good for the environment. Finally, it’s anti-allergenic, which is great for those vulnerable immune systems fresh from the stork! Because hardwood floors are a design element all on their own, choose flooring to compliment the other design elements in the room such as furniture, paint color and decor. 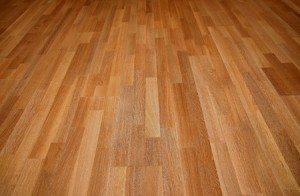 If the room that you are working with has a lot of light, a darker wood floor might be a great option. 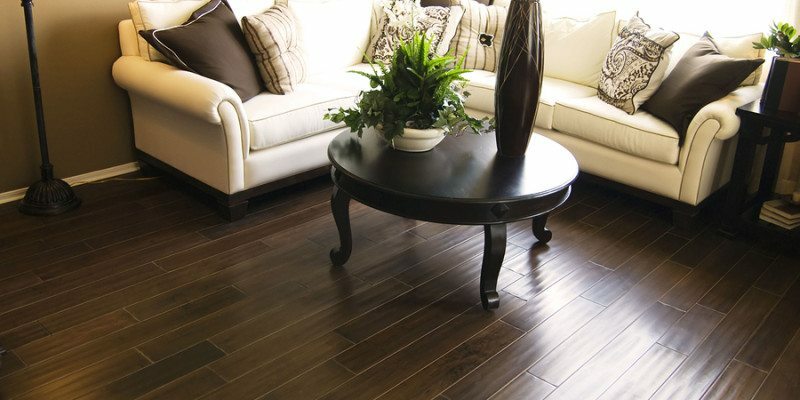 Dark colors in exotic woods add a look of luxury to any room and are best complimented by light furniture. When working with a room sans a lot of natural light, a lighter wood floor can do a great job of lightening the room up. Lighter woods also allow for a larger range of color options when it comes to furniture and decor. When choosing a board width, it’s important to consider the size and scale of the room in which you are working. Wider boards tend to make rooms that are large look smaller and cozier, while thinner boards tend to make small rooms look larger and more spacious. 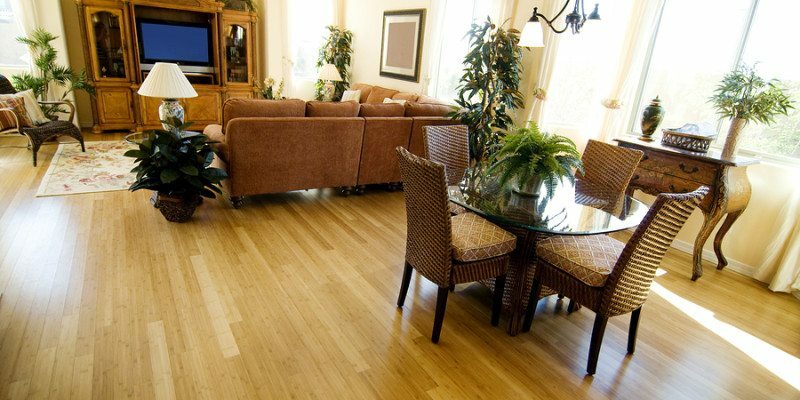 Hardwood floors add such beauty and value to your home. Take the time to do your research and follow the above tips before making this well-worth-it investment. Stop in the name of the law! 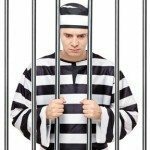 You are suspected of committing one of the top three crimes of carpet care. Look below carefully; are you guilty of one of these heinous acts? 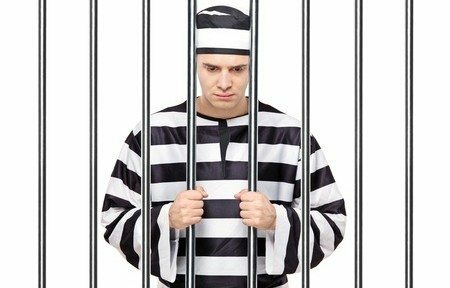 Better shape up, or the only floor you’ll be seeing is a concrete jail cell when the carpet police catch you! Back away from that rug, buster, and put your hands in the air! Many cleaners contain bleach or other chemicals that are fine for some carpets, but can ruin others. We’ll let you off with a warning this time, but any more transgressions, and it’s off to the pokey with you! This may only be a misdemeanor, but know that even the most powerful vacuum is no replacement for having your carpets washed by a pro. Once a year should be enough to extend their life and keep them looking their best. So you spilled some wine on the carpet—no big deal, right? You can always treat the stain later, or get it professionally cleaned. This is definitely a carpet care felony. The longer you wait to address a stain, the less likely it is to come out. This is true whether you’re bent over it with a wet paper towel or are having every carpet in your house steamed. Seeing your baby take his or her first steps is one of the most exciting events for a parent. Unfortunately, those steps come with consequences – both for your infant and the toddler or teenager they’ll grow up to be. 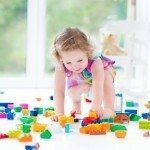 Check out our choices for the most kid-friendly flooring to last throughout the years! 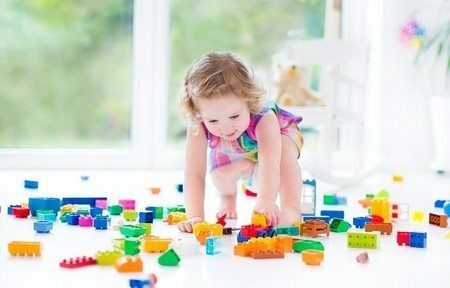 When your child is small, the biggest flooring concern you likely will have is that they’ll fall on it. To reduce the risk of injury, carpet works well. It’s soft on hands, knees, and other parts just learning to walk (which pretty much includes your entire child). If your child is a little older and you’re trying to pay for after-school activities, braces, college, etc. (yeah, the list is pretty much never-ending), you’ll want an economical flooring choice. Enter vinyl. Available in a wide variety of colors and patterns, it’s also moisture resistant—good for when your kids try to turn the bathtub into their own personal pool. Oh teenagers! Although little kids can be messy too, there’s nothing like a celebration after a soccer game to track dirt, mud, and heaven-knows what else onto your floors. 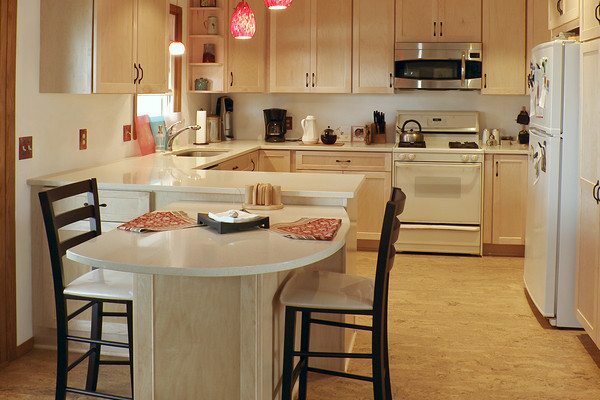 At this stage, you’ll want to go with laminate, which is durable and easy to clean. As for the other aggravations they cause, well, we’re afraid we can’t help you there!